Monster High Clawesome Double Feature on Blu-Ray/DVD July 1st! My daughter went from princesses, straight to the spooktacular world of Monster High. It was as if she went from a girly-girl to a ghouly-girl overnight, or so it seemed. This change happened the same year that she got dressed up (for the first time ever) as a witch with a bright green face for Halloween, whereas in years past she had always been a princess with a dark pink dress with poofy sleeves, jewelled tiara, and other royal finery. I watched this change take place in her 7th year, and now it's also about Forever High alongside Monster High. Ghouls, let out a shriek: Monster High Clawesome Double Feature comes to blu-ray and DVD on July 1st, 2014! The run time of the set is 184 minutes, or just over 3 hours of eery fun! As a petrified parent who takes long road trips with her ghastly gang, the length of the bluray is to be applauded. Monster High deals with the day-to-day life of teenagers in high school...who just happen to be monsters! Together they brave the horrors of high school, including fitting in, standing out, crushes, first dances, and even survival. Monster High encourages girls to express individuality, embrace imperfections, and build friendships that last. "It’s time to “fang out” with your favorite ghoulfriends in this frightfully fabulous double feature straight from the latest scare‐mester at Monster High! Everyone’s ready for some monstrous fun in the sun during spring break in Escape from Skull Shores. But when they find themselves shipwrecked on a totally strange island, Frankie Stein is taken by a mysterious Beast…who may just need a little rescuing of his own!" "Then it’s time to pull together all the student bodies when a meddling normie tries to drive a stake into the imperfectly perfect harmony of Monster High in Fright On! It’s up to Frankie Stein, Clawdeen Wolf, Draculaura and their fangtastic friends to prove that the culture clash of Fur and Fang is no longer an issue for this scary-cool student body!" (VIDEO) Watch the Monster High Clawesome Double Feature trailer, below! 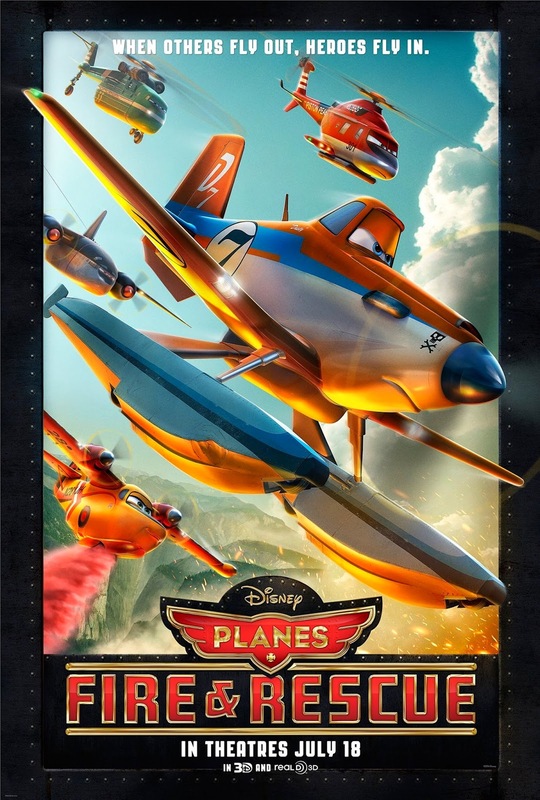 WIN 1 of 5 (FIVE!) copies of Monster High Clawesome Double Feature on blu-ray/DVD from SnyMed.com! Contest is open to Canada and USA, and ends on Thursday July 31st, 2014. Leave a COMMENT below stating if you know a Monster's High fan OR if you would rather be a teen werewolf, dracula, or frankenstein. Then, use the entry form below to enter the contest. GOOD LUCK! 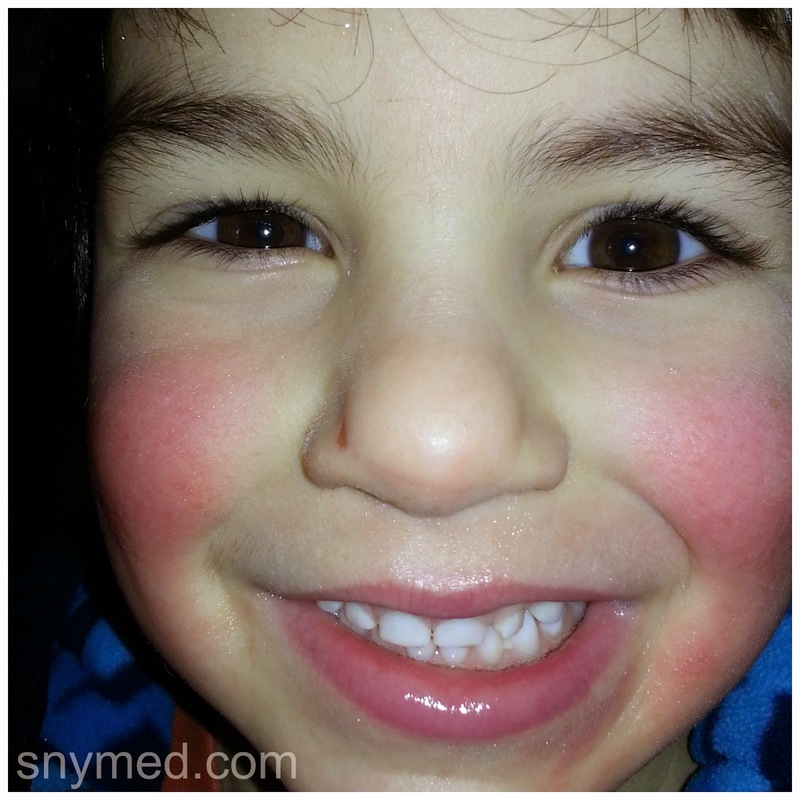 I've written before about my children's eczema, and how it can be an uphill battle. Even by diligently treating the eczema twice daily with special lotions, it's frustrating to still see the kids with red, raw, and itchy skin. My daughter developped a very persistent eczema on both wrists during the wintertime, and months later we're just beginning to get it in check. It got so bad, that she was just one step away from drawing blood. She has scars from persistently scratching the raw skin. Up until this point, I've been trying over-the-counter lotions, and have not yet sought a steroid cream from the pediatrician. My logic being that there could be a product out there that will greatly improve the eczema, without having to use stronger medications. One such product that I have being administering to my daughter over the past few days has been steroid-free Polysporin Eczema Essentials Daily Moisturizing Cream. Also available, is the Polysporin Eczema Eczema Essentials Daily Body Wash, which I have not as yet tried--but would like to. Reading the Polysporin lotion ingredients list, I noticed that it contains Polysporin's hallmark petrolatum (Petroleum Jelly), which is great for smoothing raw skin and healing cracks. Petroleum Jelly is a great moisturizer, and works better than water-based lotions. I was intrigued by the claim on the bottle of Polysporin Eczema Essentials Daily Moisturizing Cream that it "provides healthier looking skin in 3 days, and starts working immediately to reduce itch". As claims go, I'm always skeptical but thought that for under $16 per bottle it would be worth a try if it meant my children would stop scratching their eczema right away--and if I could see an improvement in their skin in a 3-day period. 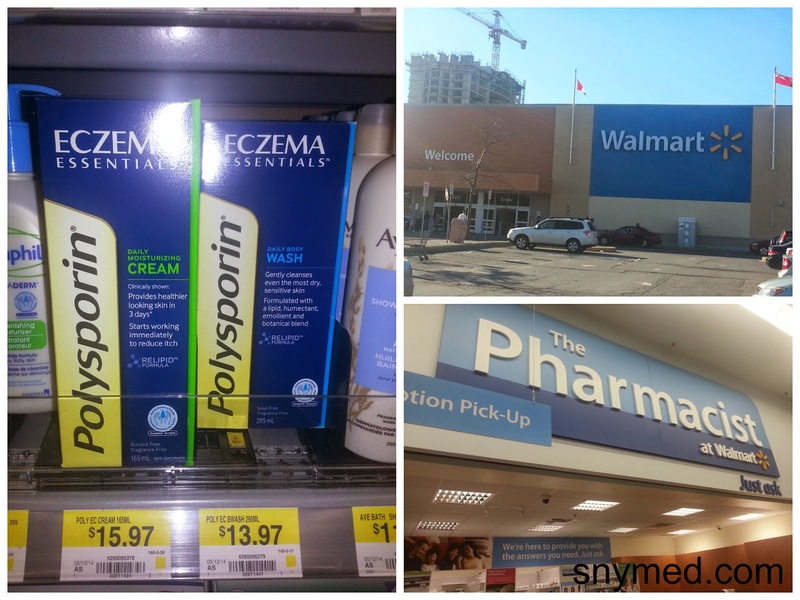 The Polysporin Eczema Relief products can be found in the pharmacy section of Wal-Mart. It was not shelved with the small Polysporin ointment tubes, but with more pharmaceutical-type lotions. Once I knew where to look, it was easy to find--for future, I just have to remember not to look in the "regular" hand lotion section. I've been using the Polysporin eczema lotion twice daily on my daughter's wrists over these past few days, and it seems to be helping keep the eczema at bay. We did start using it while the eczema was winding down, and during this period of time her skin has not been itchy, raw, red--and the "bumps" on her skin due to eczema have stayed at a minimum. We will continue with the Polysporin Eczema Essentials Daily Moisturizing Cream over the next 2 weeks and hope that the eczema completely vanishes. With eczema, finding a product that works well can be hit and miss. However, being persistent does pay off and it's well worth the effort to be comfortable in your own skin! 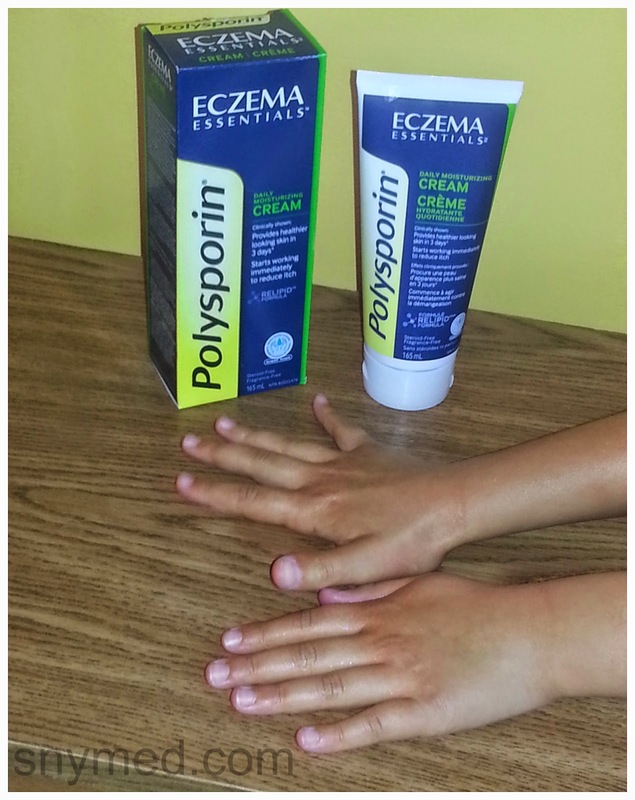 If you or a family member have persistent eczema, I would recommend that you give Polysporin Eczema Essentials a try to see if it works for you. Do you have a family member or friend with eczema? Where does the eczema usually appear on the skin, and what makes it worse--or better? 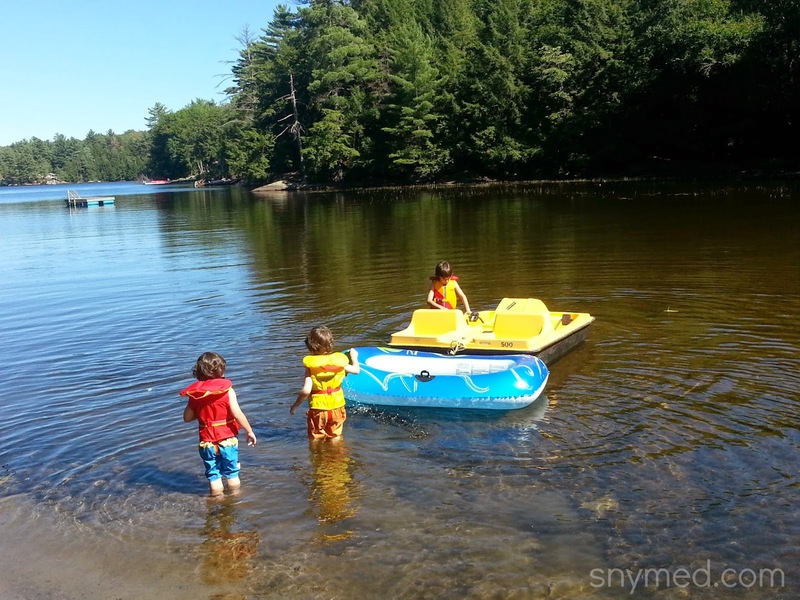 What Summer Means to Me & Chocolate Ice Cream Boat Recipe! As a Canadian, I am so incredibly thankful for summer and all that it brings. I wonder if Californians or Texans feel this way too, seeing that they receive warm weather all year long? 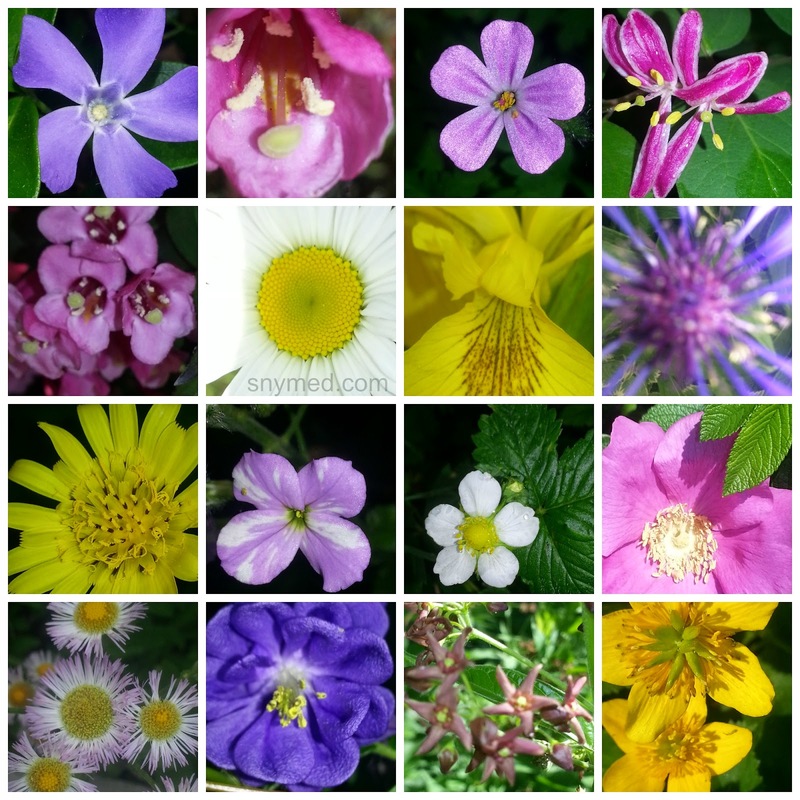 I suspect that this winter's ice storm and long-lived cold spell make me especially appreciative of the sunlight, the flowers, and the wildlife that had migrated and has now returned. Yes, I savour every warm, beautiful day--knowing that they are precious and numbered in Canada. 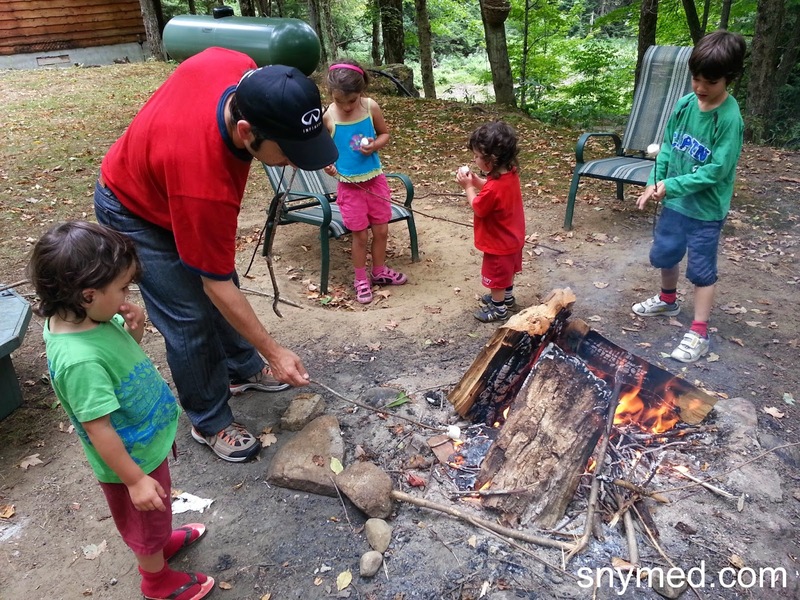 Summertime to me means the last day of school for my children, and the beginning of summer camp for them. 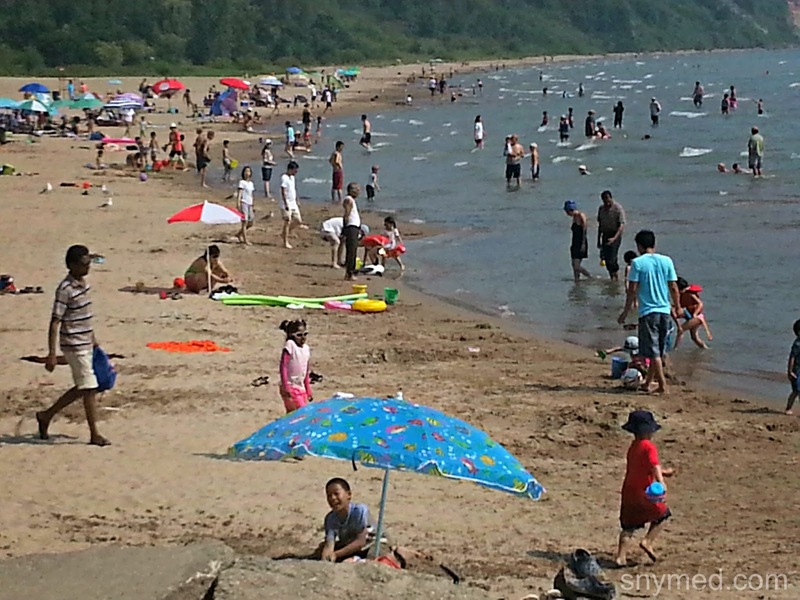 Picnics, splash pads, hikes through nature, a stay at a cottage, a deep dive into a pristine Ontario lake, fun at a theme park, roasting marshmallows over a crackling fire, picking raspberries, upbeat music drifting over the neighbour's fence, and pool parties all make me think of summer. The summer is also a bustling time for birthdays in my family, with all 7 of my families' birthdays spread out from spring to late July. We have fantastic birthday parties with a great big fruit salad--and gifts for the kids of wading pools, crazy sprinklers and long-range water guns. We take hundreds of wonderful family photos in the summertime, which I enjoy looking back at over the subsequent years. When I think about the summer months, food always comes into my mind: an ice-cold watermelon or two sliced to share, the ice cream truck coming around--attracting the kids with its "Pop Goes the Weasel" song, and my husband or my father at the barbecue roasting corn, chicken skewers, or salmon squeezed with lemon. There is lots of entertaining and conversation in the summer months in our world. What summer means to me, is a carefree time with less personal commitments. Summertime seems endless, intoxicating, and filled with hope. I feel that my mood is at its best in the summer, and that those around me have a light and sweet demeanour. In the summer, I feel like I return to nature and I'm more in tune with myself and the natural world. Summer is a peaceful and happy time for my family and I. Sometimes, I wish it would never end and that my family could enjoy the "simpler" days of summer all year long. Make This Sweet Treat With Kinder Surprise Eggs & Ice Cream! As a special summer treat, the kids and their friends love when I make ice cream boats out of Kinder Surprise Chocolate Eggs! They're fast and easy to make, see instructions below! 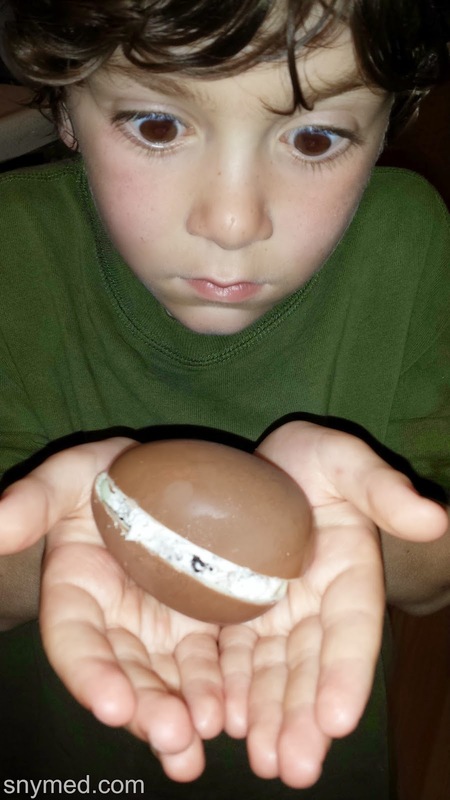 1.Remove tin foil wrap from each Kinder Surprise Chocolate Egg. 2.Use a dull knife, and cut along the "seam" of the Kinder Chocolate Egg until it's cut evenly in half. 3.Remove plastic capsule with toy, and set aside as a surprise for after the sweet treat. 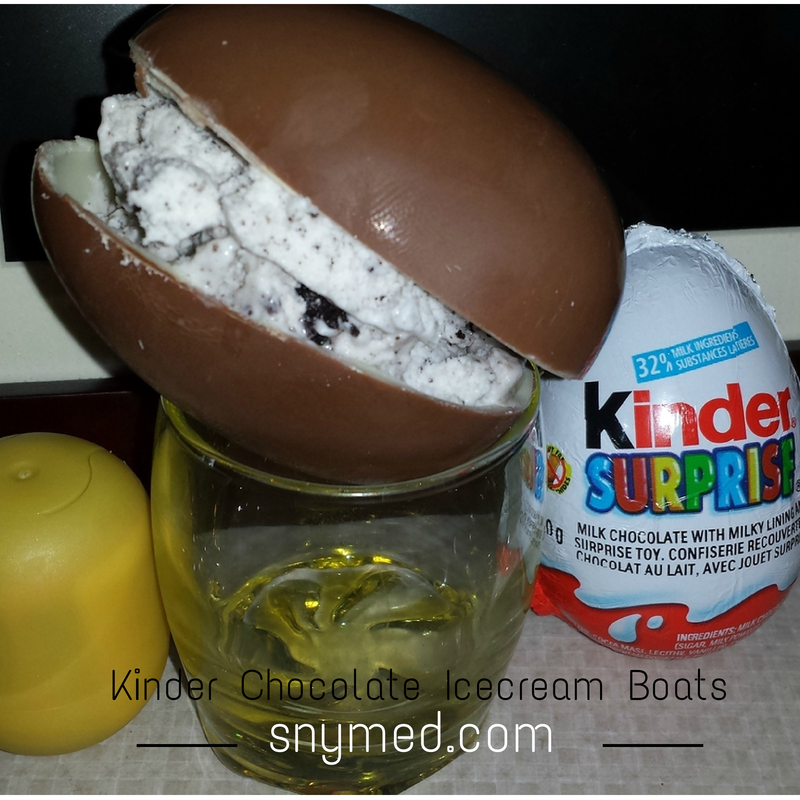 4.Fill both halves of the Kinder Chocolate Egg with ice cream and then close together like a "sandwich" (for a Kinder Chocolate Egg ice cream sandwich), or fill each half of the Kinder Chocolate Egg separately with ice cream for an ice cream boat. No spoon needed! Reminder: be cautious when travelling to the USA, as Kinder Surprise eggs are not allowed to cross the border. Kinder Surprise Egg Ice Cream Sandwich or Boat? What do you look forward to most about summertime? Would you rather eat a Kinder Chocolate Egg as an "ice cream sandwich" or as an open-faced boat filled with ice cream? Disclosure: I’m part of the Kinder Mom program and I receive special perks as part of my affiliation with this group. The opinions on this blog are my own. With the warmer weather now here to stay, I find myself spending endless hours outdoors daydreaming, hiking, enjoying the colourful wildflowers, and local wildlife. It is now more than ever, that I appreciate the simple and beautiful things that life has to offer, and want to drink it in all around me. There are just some things in life that money cannot buy. 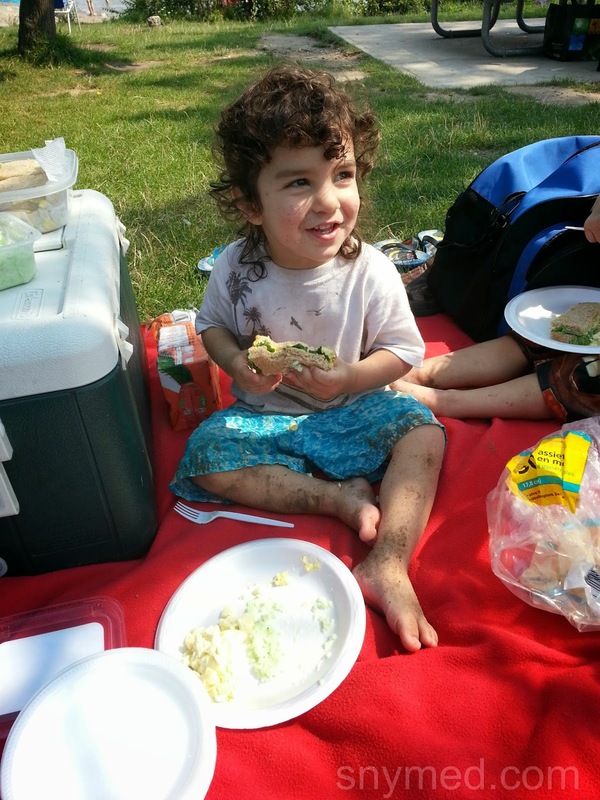 These glorious days, we eat our meals outdoors: by the lake, on a picnic table by the woods, in the backyard, or on a park bench beside the playground where the kids frolic with friends. Every beautiful day has become a reason to celebrate outdoors--and to appreciate life to its fullest. We're always having company over, so the SodaStream Drink Maker is portable enough to set up in the backyard or bring along to our picnics. It has been widely received by our friends and family, who are delighted to create their own refreshing carbonated beverages. Take a look at the drinks below, created by Canadian bloggers. 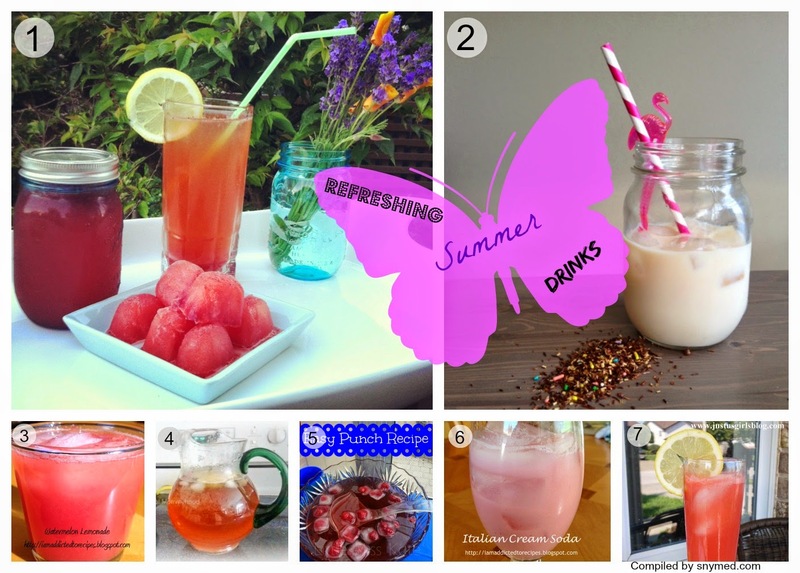 Many of these drinks can be recreated with the SodaStream drink system, and by using tasty ingredients like watermelon, lemons, strawberries, tea, coffee, cream soda, and even birthday cake! Portable For On-the-Go Summer Refreshments! My own summer mix is quite simple: SodaStream carbonated water fused with lemons and lime to quench my thirst! It always goes great on its own, with a fresh summer salad bursting with mandarins, or a light pita wrap stuffed with veggies and grilled chicken strips! With SodaStream, it's easy to customize what goes into every beverage: less or more carbonation--or more or less sweetness. And according to SodaStream, their flavours contain less calories, sugar and carbs than traditional sparkling drinks. FUN FACT: Did you know that one SodaStream bottle can replace 2000 bottles and cans? With almost one billion regular bottles manufactured daily, and 800 million of these ending up in landfills, SodaStream is an environmentally sound choice. 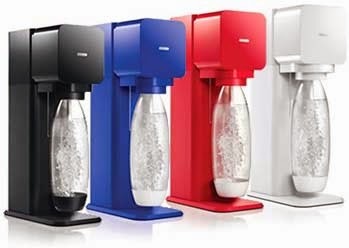 Get 15% Off a SodaStream.ca Purchase! Use Coupon Code PTPA to get 15% off the purchase of a SodaStream drink maker, when you make the purchase on SodaStream.ca! Discount code valid online only, and not in-store. Disclosure: I am part of the PTPA Brand Ambassador Program with SodaStream Canada and I received compensation as part of my affiliation with this group. The opinions on this blog are my own. Lion at ♫African Lion Safari♫! I have a pretty funny story to tell about African Lion Safari! When I was a child in the early 80s, my grandparents took my older brother and I on an excursion to Niagara Falls. We had planned a day trip to Marineland, but my grandfather was unclear on the directions and we soon became lost. Too proud to stop and ask the way, my grandpa instead started following signs pointing to African Lion Safari. And so our day trip to Marineland was rescheduled permanently--and it soon became a wonderful family excursion to African Lion Safari! What a blast driving through African Safari! My brother and I sat in the rear seat of my grandparent's blue-on-blue Oldsmobile 98, and munched on the picnic that my grandmother had packed. 30 years later and I still remember the food: mountains of sandwiches wrapped in tin foil, and cans of Country Time Lemonade! It was such a long time ago, and yet I remember that we missed seeing the monkeys! My grandpa's Oldsmobile 98 had a vinyl roof, and a sign warned us that the monkeys would scratch such a roof. And so we took the alternate route, and saw...rhinos? Hard to recall! However, I do remember that we had a wonderful time together at African Lion Safari! 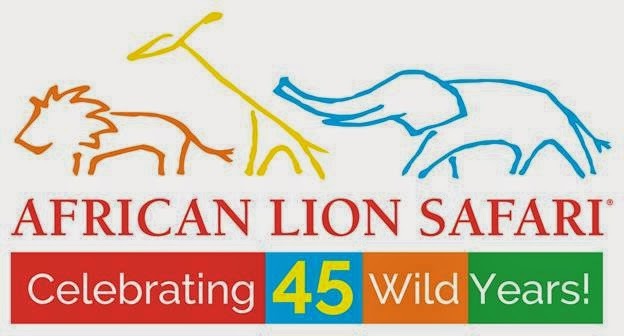 African Safari Celebrates 45 "Wild" Years! Almost a lifetime ago, and this June I will be taking my own family to African Lion Safari for the first time ever. 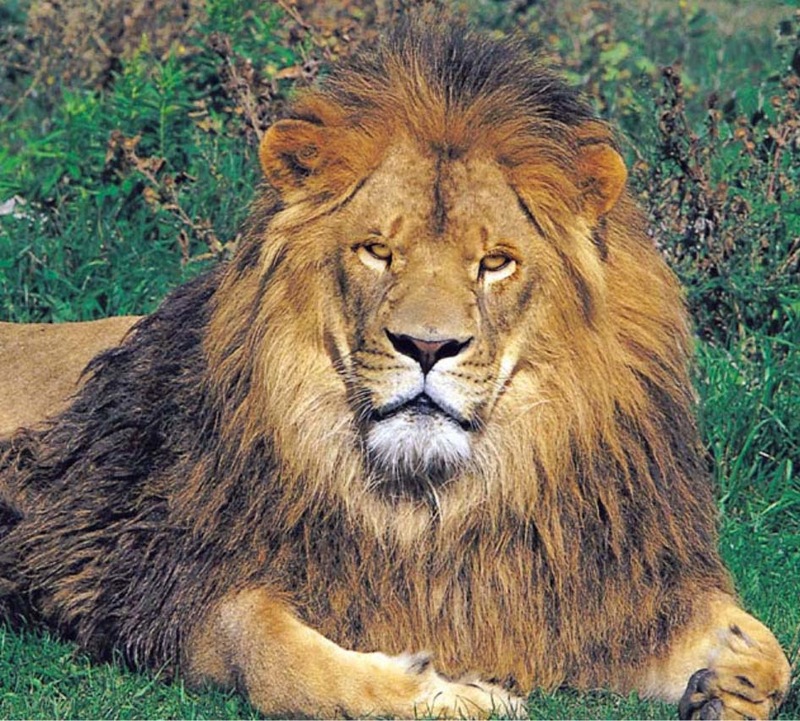 My kids have browsed the African Lion Safari website and are pumped to go! And truth be told, I'm looking forward to getting up close and personal with the monkeys this time! It's hard to believe that African Lion Safari is now celebrating 45 "wild" years since they first opened their doors! "Go ON SAFARI! Get closer than you ever imagined….to majestic lions, graceful giraffe, rhino and many more animals from around the world. Drive through 9 kms of safari trail in your own car or take an educationally guided Safari Tour Bus (additional cost). Your truly “WILD” experience also includes a full day of family fun with bird & animal performances, boat & train tours!" Did you know that CAA Members enjoy 15% off admission tickets to African Lion Safari (when purchased in advance at the CAA store)? Or, a 10% discount when a CAA Membership card is shown at the African Lion Safari front gate! CAA Members who purchase tickets at a CAA store, also enjoy an additional 10% off discount coupon to redeem at African Lion Safari retail stores! GO WILD! Follow African Lion Safari & CAA on Social Media! 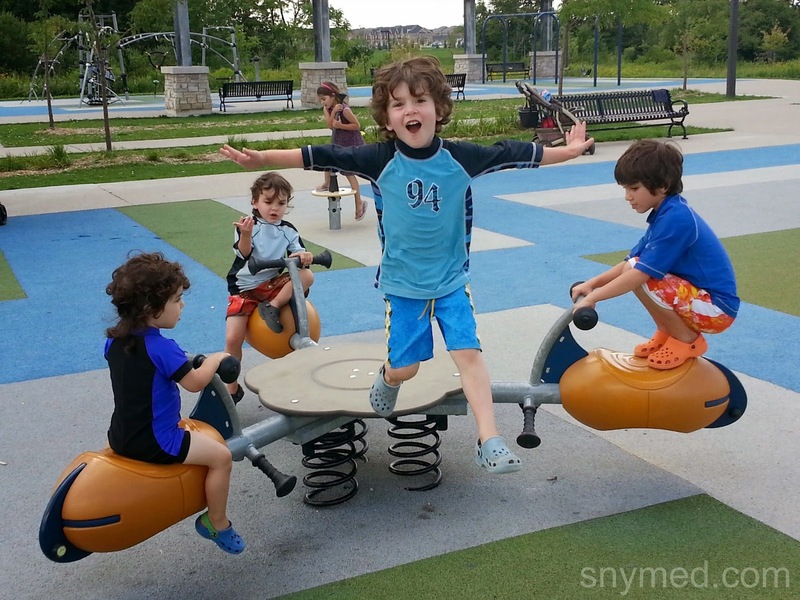 WIN Family Tickets to African Lion Safari (for up to 5 people) from SnyMed.com on Saturday June 28th, 2014! Includes Safari Bus Tour for your whole family! Note: return transportation to African Lion Safari is NOT included. You must be able to arrive by 9:45am on June 28th in order to collect the prize. Contest is open to Canada, and runs until Thursday June 19th, 2014. Leave a COMMENT below stating if you've ever been to African Lion Safari before OR what animal(s) you would like to see at African Lion Safari. Then, use the entry form below to enter the contest. GOOD LUCK!